Odynophagia is a medical term to describe a condition better known as pain when swallowing. The pain could come from the mouth, throat or the esophagus. Pain has been described amongst patients as an ache, burning or sharp pain. A patient may experience swallowing pain when the passing of food through the esophagus to the stomach is delayed. Swallowing pain may also arise from hot foods and drinks. If this happens it could be a strong indication of lesions present in the throat. The symptoms of painful swallowing could be due to an infection of the esophagus most of the time. Odynophagia with the presence of breathing difficulty or hoarse voice may be a strong indicator of problems with the larynx, trachea or a partial block of the throat. Patients sometimes witness a stabbing chest pain that many confuse with dysphagia, which is just a general difficulty in swallowing usually without the pain. Patients identified with odynophagia do not have difficulties usually to swallow itself, it is just that it is painful to do so. There have been reported cases however, where patients that were diagnosed with odynophagia were also diagnosed with dysphagia. Anyone regardless of age, gender or race are likely to obtain odynophagia at least once during their lifetime. Some people are subjected to repeat cases who have a high risk diet. 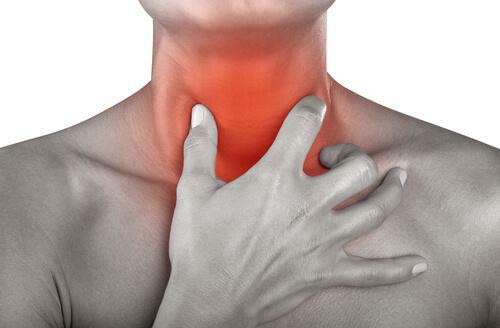 A feeling of squeezing on the throat when trying to swallow during drinking and eating. Sometimes it can be painful when just trying to clear the throat normally. Injury to the mouth, throat or tongue. They are sores that often appear on the inside of cheeks within the mouth. They can be very painful when trying to eat, drinking and even while brushing your teeth. They are usually very harmless and go way on their own after a few days. Mouth ulcers are not passed from person to person. Painful and irritating, usually a symptom of an underlying condition. Found at the back of the throat that can be caused by conditions such as chicken pox, oral thrush, herpes simplex virus and acid reflux. Untreated tonsillitis can also account for throat ulcers. Sores filled with pus that form at the back of the throat near the tonsils. Usually a complication of tonsillitis. They are caused by bacterial infections that are pretty harmless and they can be treated with antibiotics with a high percentage rate of recovery. They should be treated immediately to prevent serious problems from arising. Respiratory infections are caused by a number of infectious diseases that affect the upper respiratory tract and the lower respiratory tract. Lower respiratory infections such as pneumonia are very much more serious than upper respiratory infections like the common cold. They cause abnormal low activity or high activity of the immune system. Over activity causes the body to attack and damage its own tissue. This condition is known as autoimmune disease. An immune deficiency disease decreases the ability of the body to fight off invaders, making it vulnerable to infections. Due to factors unknown, the immune system can produce a certain antibody that for some reason attacks the body’s own tissue instead of fighting off infections. Treatment for autoimmune disease generally focuses on reducing the immune system network. One of the most common oral cancers is lymphoma. This is a blood cancer when lymphocytes behave abnormally. Lymphocytes are white blood cells that help protect the body from infection and disease. Abnormal white cells divide faster than normal cells and live longer than they are supposed to. Lymphoma develops in the lymph nodes, spleen, bone marrow, blood and other organs. There are two types of lymphoma. Hodgkin lymphoma and non-hodgkin lymphoma. Hodgkin lymphoma can be treated with chemotherapy and radiotherapy. Bone marrow or stem cell transplantation may be required under special circumstances. Non-hodgkin lymphoma is treated with chemotherapy, radiotherapy, biologic therapy. Bone marrow and stem cell transplantation may be used. Most patients of Hodgkin lymphoma are successfully treated and go on to live long and healthy lives. Patients with non-hodgkin lymphoma are not curable, but the prognosis is very good. They could live 20 years or more following an initial diagnosis. Patients that show an indolent form or dormant form of the disease may not be treated until the disease is showing signs that it has progressed. 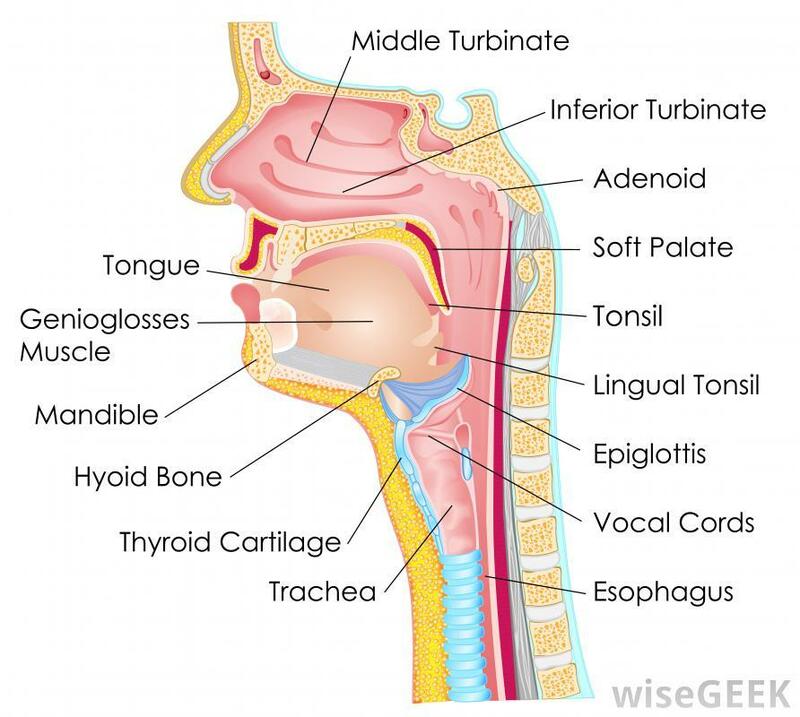 Other cancers of the mouth, throat, larynx, neck and esophagus, can be diagnosed if patients show symptoms of odynophagia accompanied by unforced weight loss. It should be noted that there are no specific tests that can be done to properly diagnose odynophagia. Diagnosis is usually carried out by taking a look at the patient’s symptoms. Caffeine, peppermint and alcohol should be avoided as the can bring on a case of acid reflux.